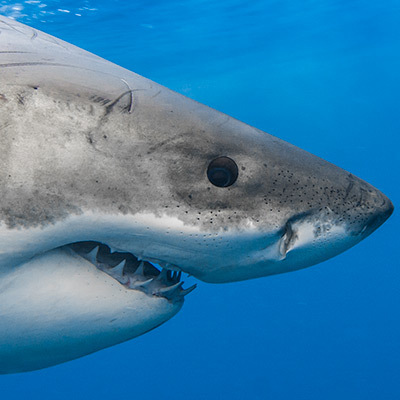 In addition to olfactory receptors in a white shark’s nose, the snout also is the site of a clustering of electroreceptors known as Ampullae de Lorenzini. 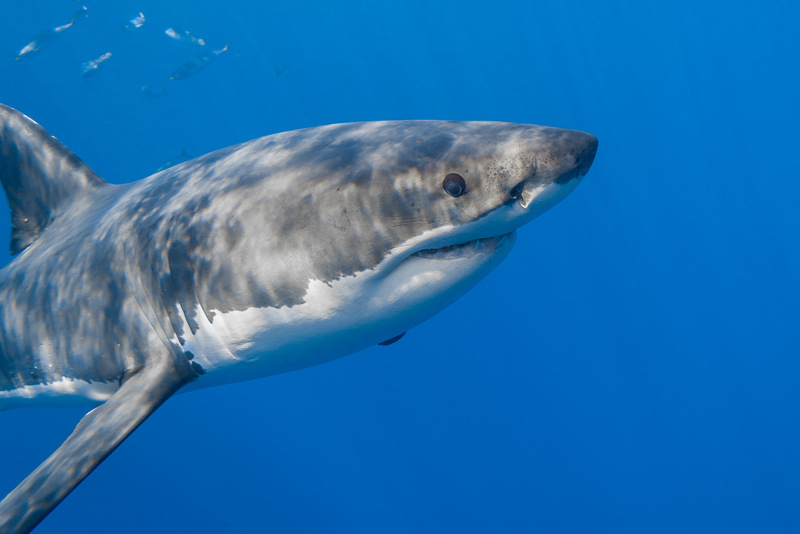 These sensory organs appear as black dots on the shark’s snout and consist of gel-filled pores. 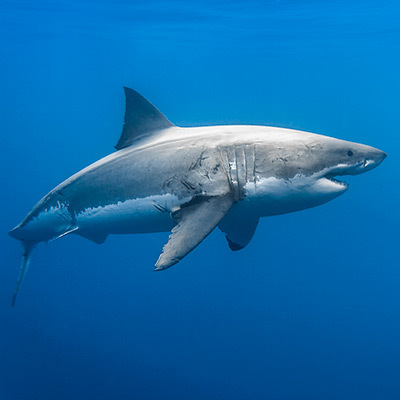 These sensory organs provide a sixth sense, which allows the shark detect electromagnetic fields.